Subaru Rear Vehicle Detection - SRVD monitors rear blind spots for danger. It makes lane changes safer, and warns of a potential collision – for instance whilst reversing into a street with passing traffic. 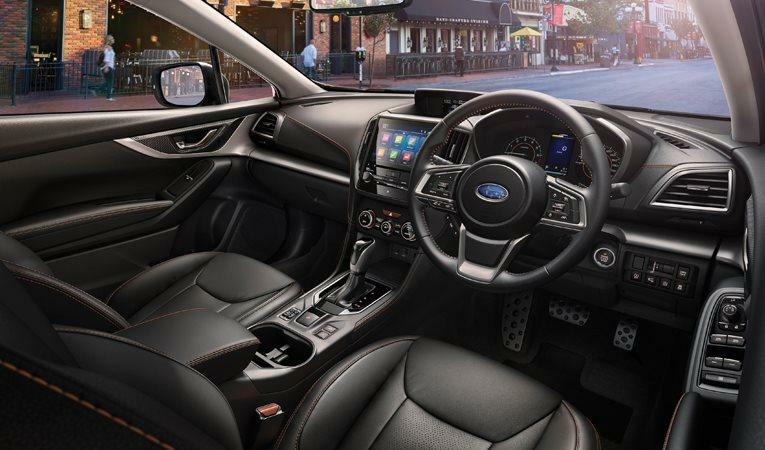 Eyesight - EyeSight*1, Subaru’s driver assistance technology, is a second pair of eyes. Using information from 3D cameras, safety systems warn of potential collision risks and can even act to reduce accident severity. 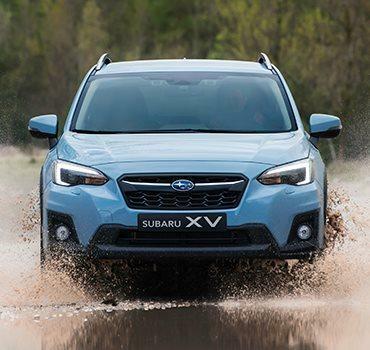 A 220mm ground clearance shuns uneven ground – allowing XV to negotiate rocky, rutted tracks or even ford streams. Engaging High Beam Assist (HBA) automatically controls the selection of main or dipped beam at night, ensuring the best visibility without dazzling oncoming traffic. 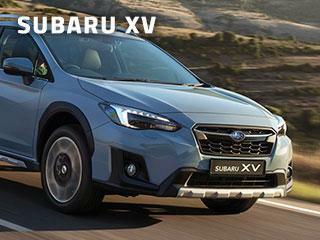 XV’s 5* Euro NCAP rating for safety is the testing agency’s highest award. Declared Euro NCAP's BEST IN CLASS Safest Small Family Car 2017, XV achieved the best scores in its segment for Adult Occupant, Child Occupant and Pedestrian Protection and ‘very good’ performance for its Autonomous Emergency Braking and Lane Support Systems. 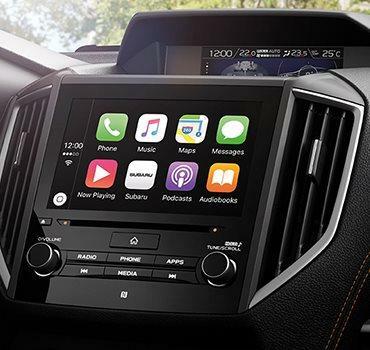 Apple CarPlay™ and Android Auto™*2 let you connect your smartphone to the car and use popular apps. Voice recognition capabilities allow hands-free use, keeping everybody safe whilst reducing distractions when you’re on the move. 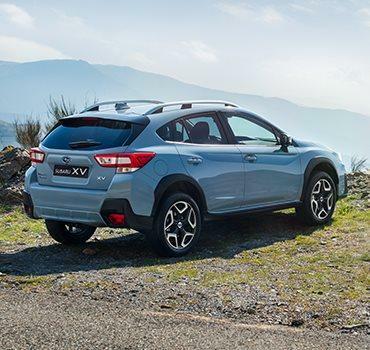 The XV’s reversing camera helps you reverse and park easily and safely. LED steering responsive headlights track ahead in to a corner as you turn, moving the XV headlight beams left or right as you steer to maximise visibility. The keyless entry & push button start system makes short work of setting off. A key fob gives you easy keyless entry. Simply grip the door handles to unlock them and start the engine with the push of a button.